I know a lot about Final Fantasy XIV. This is surprising to no one; there’s a reason Joystiq sent me to the preview event, a reason I write a weekly column about the game, and a reason I still have the Final Fantasy XIV collector’s edition box sitting in my office. The net result is that I have spent a lot of time playing the game. 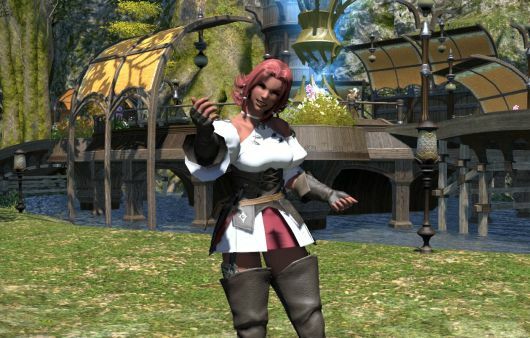 As a result, I was more than a little nervous when sitting down to play the revamped version at the Final Fantasy XIV press event in San Francisco last week. Done incorrectly, playing the game could feel subtly wrong, like a stranger pretending to be your old friend. And even if I avoided that pitfall, the gameplay could feel inelegant or forced. I’m happy to report that none of that is the case. Make no mistake — the game is very different from its original incarnation, but it also sports enough familiar stuff that you aren’t left wandering around baffled. From screenshots, the character creator didn’t seem terribly different from the original version, just organized slightly better. I am happy to say that those screenshot impressions were entirely wrong, and the new creator is quite a bit more powerful and flexible than the old one, even though I didn’t have a chance to put every part of it through its paces (which is probably for the best, since otherwise I might have seen no other parts of the game). For starters, all of the races have had their options for things such as hairstyles increased by a large degree. Several of the options were locked for this client, but there was obviously space for twice the number of styles found at launch, meaning that you’ll have several new choices when remaking your characters in the relaunch. There were also new options, such as a chest slider for female characters and a muscle tone option so that you can make your Highlander lady bulky or outright ripped at your discretion. I say “slider,” but that’s not entirely accurate. 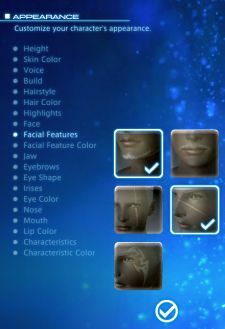 All options save hairstyles are in list format, with everything clearly displayed so that you can easily recreate options you like. There’s also a variety of posing options and background options so that you can play around with your character’s look in several settings rather than the sometimes unnatural lighting found in older creators. 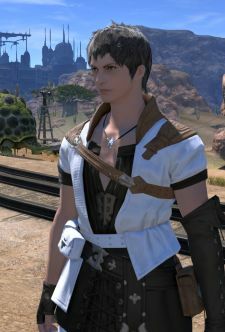 FFXIV had a decent creator at launch, but this is far and away better. Even if you were completely happy with all of your character’s options in the old version, you may find yourself changing a few details when the time comes. After I finished making my muscular Highlander lancer, she was put on the back of a cart and shipped off to Gridania. (Much as FFXIV’s original beta limited players to Limsa and surrounding points, this beta limits players to Gridania and the Black Shroud.) Unlike the old version, which introduced an opening cinematic and tutorial, this edition throws you into a short and unvoiced scene with a fellow traveler discussing recent history and the state of Gridania. It’s a bit less epic, but it also takes some of the guesswork out of what’s going on. It’s probably a good thing in the long run. Your first storyline quest is actually a nearly undisguised tutorial to get you accustomed to the city, and it forces you along a route to pick up several additional quests. This is a good thing, especially as quests stack up nicely and frequently have the same enemies as targets. I picked up a handful of new quests, each of which had handy markers on the map indicating either where the quest took place or whom I needed to speak with for the next step. Interestingly enough, even at a low level I saw quests all over the place, and not in the traditional hub format. Quests dot the landscape, and it’s easy to miss several until you explore more, but the game is structured so that missing one is in no way harmful to your leveling. That’s commendable. I picked up my first Lancer quest, which can be obtained pretty much right away, and I saw a vendor selling the basic tools necessary to play pretty much any class I wanted. With quests in hand, I figured it was time to head out just past the gates of Gridania into the central Black Shroud. Let me say right now that the Shroud was one of the areas most dearly in need of a revamp. The area was congested, difficult to navigate, and just plain ugly most of the time. Its new version, by contrast, is lush and lovely, with wide spaces and believable geography highlighting a variety of forest environments. Your first travels are in a lightly wooded area most reminiscent of the sparser New England forests, with plenty of trees that form a carpet of leaves mixed in with grass and footpaths. Combat is a bit derpy at the lowest levels, but you start unlocking abilities quickly, and pretty much every single one works differently than it used to. However, almost every attack does one of two things: hits harder than your auto-attack or has a useful added effect. As a Lancer, I had True Thrust to hit hard and Feint to slow my enemies, both of which worked together nicely as a one-two punch to pull things down. The global cooldown of 2.5s feels just a little long, but it really isn’t a big deal. More on that when I talk about higher-level combat. After I cleared out the first few quests, I finished up my main story quest, which left me with a message to wait for a level or two before the next quest. (Helpfully, major quest lines have an icon indicating that you can’t get the quest yet as well as information about when the next one will be available.) I also finished my first Lancer quest and unlocked the Hunting Log, which is a new feature I instantly fell in love with. Each class has a different hunting log, and each log has multiple tiers consisting of several targets. My Lancer’s first few tiers included Marmots, Funguars, and Ladybugs. Upon killing a designated number of these enemies, you get some gil, some experience, and a mark toward completing a tier. Complete one tier and you unlock the next one. Simple? Definitely. But it also gives you added incentives to go out and kill things as well as another objective to work toward. The log has other major benefits as well, but for combat-related classes, the impetus to go out and fight multiple targets really spoke to me. Also worth noting is that between the quests and a bit of log work, leveling was fast. I flew up to level 4 within half an hour or so, far more quickly than I remember leveling from the ground up in the original version, and with no regard for leves. I could easily have played for another huge chunk of time, but I wanted to see what happened when I got up a bit higher, so I swapped to a character at the current maximum level for the beta test. My new avatar was a level 35 character in a variety of classes, but for most of the combat I stuck with Gladiator. I’ll say right now that I didn’t fully get a chance to see how Gladiators work as tanks, but I did get a chance to see what it’s like to play with a wider suite of abilities. First of all, if you’re worried about equipping abilities mirroring the old version, don’t be. Abilities now are dragged and dropped to your hotbar as in every other game in the world. The use of off-class abilities is handled with slightly more complexity, but it’s still straightforward: Click a checkmark next to the ability you would like to use, and it gets added to a small row of skills that you can then drag and drop like before. Nice and easy. Having a full suite of abilities let me start appreciating how even the new combat system really is. Because so many skills have secondary effects and there are a lot of useful non-attack abilities, you’re no longer as limited as before. Having Feint on my bar was useful to a Gladiator because it did slow my target reliably, even though it wasn’t something I could use in a combo. It also meant that Invigorate was something to actually think about carefully — did I need the possibility of refilling my TP mid-battle, or would something more practical be more useful in the long run? One thing I noticed was a lack of positioning-based effects. Most secondary effects were simply attached to the skill or to the combo, and the tooltips provided useful and clear information. I mentioned before that the slower, non-standard cooldown doesn’t really slow down combat that much, and part of the reason is that combat is fast. In single-target battles, you can unload a lot with your TP starting at max, but you do need to be somewhat careful lest you run out when you’ll need it. Skills hit hard enough that while you won’t be spamming one ability repeatedly, hitting it once or twice in the course of a battle has the same net effect. You wind up with the same sense of making a calculated choice rather than hammering on buttons, but the fights feel faster and more responsive. While out on my own, I engaged a target three levels higher than I was. In some incarnations of FFXIV, a level 35 player could easily rip apart level 42 enemies; in others, level 36 could be a struggle. I’m happy to say that the fight still felt balanced and very strategic. I could kill the 38, but I had to play smart and pay attention. Getting experience chains will still be manageable in the new version, but you’ll still be sticking within your level band to do so. I also had a chance to take part in one of the game’s FATE events, which reminded me of RIFT’s eponymous rifts in all the best ways. Waves of efts spawned from a central point; alone, they wouldn’t have been too difficult, but we also had to contend with the morbols surrounding the area. I noticed during this that my Gladiator still did not have a good AoE effect; that may be something best ported from another class, or perhaps I just missed it, but it was somewhat problematic to try to grab aggro as I needed it. Then again, I had only briefly surveyed my abilities. Combat feels like a more elegant and strategic version of the first version’s combat, with a better selection of abilities and more emphasis on using special effects to the fullest. The changes to TP mean that you can start out on the offensive rather than the defensive, but it doesn’t evoke memories of the launch version’s stamina bar that often locked you out of action altogether. It’s fun, polished, and above all else, fast. 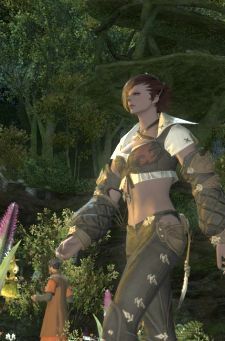 The meat of any MMO is in what it provides for you to do, and even if FFXIV had no options aside from combat, its relaunch would be doing a fine job. The actual battles are fast while remaining strategic, giving you reasonable options while expecting players to be on their toes. More to the point, you aren’t grinding on quests at hubs or grinding leves or grinding anything if you don’t want to; the game has enough variety that you can take things on at your leisure. If you never played the original FFXIV, you’ll be in for a treat in the form of a fun and balanced game. If you have played the original, it doesn’t feel like someone impersonating your old friend; it feels as if your old friend has learned a wonderful batch of new tricks he can’t wait to share. Be sure to check out our other coverage from this event!Click Here:FFXIV Gil.